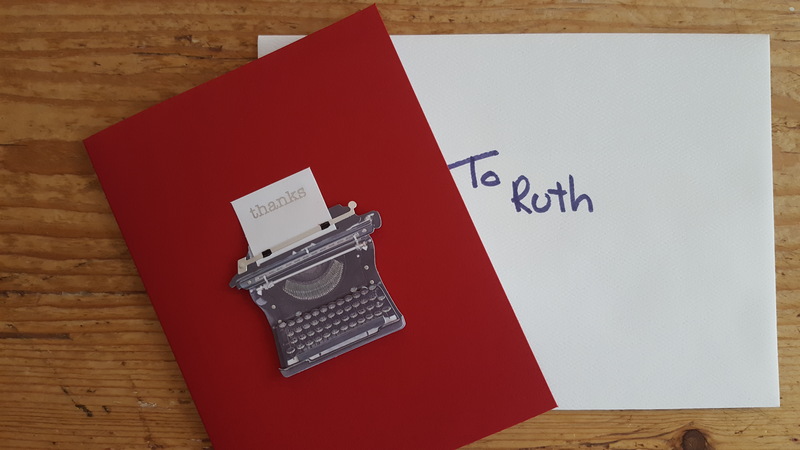 From the amount of cards I have in my arsenal, you can rest assured that I’m always ready to compose a heartfelt message when the need arises. This week there was a very good reason. My connection with a local doctor is that I train her mother. The relationship has gone on for years. Every month I email her an invoice with a chatty update. A few days later I receive a cheque in the mail with a small note of thanks. We have done this for years. The system works. Five years ago she referred a patient to me. The impact of her passing along my name and endorsing what I do changed my life and the work I do today. This past week she was filling in for my doctor. We got to meet face to face. Not only did I give her a card and gift… but I got to tell her how grateful I am. In a world of emails and texts and posts on Facebook, the simple act of giving a card and saying kind words has become a rare occurrence. What’s not rare are all the reasons why we should. I read the last lines of the acknowledgment and started to cry. This is how Owen Laukkanen ends his latest book The Watcher in the Wall. It should be required reading in every high school. On the surface, it’s a great piece of crime fiction that follows Owen’s stars, Stevens and Windermere, through another case. A horrifying story that keeps you hanging on to find out if the good guys win. But this one’s so much more. Owen tackles the tragedy of teenage suicide. I’m not a book reviewer or a counselor so I won’t pretend to speak with that type of authority on either subject. Bookpage is just one of the places where you can read about the story itself. I am a person that has battled depression and still wages the war. I’ve come very close to taking my own life. I wish I’d read this when I was younger. I’m glad I’ve read it now. And I’m honoured to know Owen. He’s stepped up and will make a difference. He’s even hidden all this in a really great book! Owen, you’re a very creative and clever man. I got to introduce a young friend to him recently. She’s read his YA book, How To Win At High School (written under the name of Owen Matthews.) She was beside herself to meet him. Owen took the time to connect with her. He’s like that. And I could instantly see how he related to someone still in the throes of figuring out life. 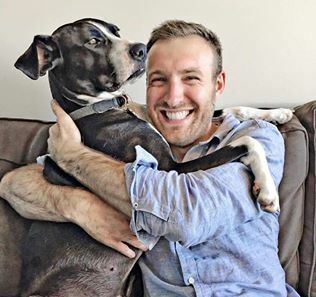 Aside from the superb writing ability, the weird obsession with trains, and the love of a certain dog named Lucy, Owen is a very good man. And handsome. Did I mention that, or have you seen his pictures? Start following him on Twitter or Instagram. 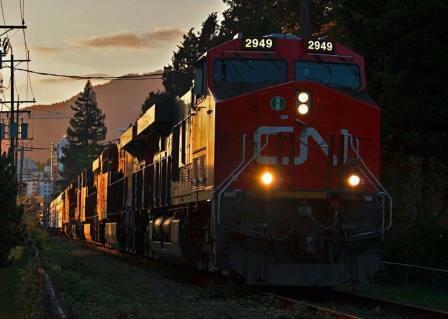 You will never look at trains the same way again. There’s a tiny bit of time when you’re thinking about ending your life and you can be turned. Too many come to that crossroad and never see a different direction. I think Owen, his honesty with his own troubles, and this book, can make you look for another way. A small glimmer that there might be a safe path away from the pain. 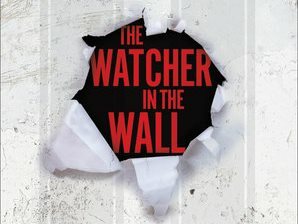 I hope Owen will find himself staying up very late once more people read this book. Why is it so surprising when someone is kind and generous? Back in January 2015 I got an email from kc dyer asking for my help to find a man in a kilt for a photo shoot. Well of course I know many men with kilts, but the one I thought would be most appropriate was Robert MacDonald. He even makes kilts. It’s called Finding Fraser and it’s a story about a young woman that reads the Outlander series and goes to Scotland to find her own Jamie. I saw the book for the first time at the official launch party and was floored to see kc had thanked me for connecting her with Rob in the acknowledgments! Finding Fraser went on to become an Amazon bestseller. If this story ended here it would still make for great reading. You would know how gracious and kind kc is. kc is just one of the amazing people I’ve met at the Surrey International Writers’ Conference and my life is much richer for it. I’ve attended the conference for the last five years. When kc is leading a workshop I’m usually in the front row. Her “Beginner Intensive” master class not only gives you all the information you need to start your writing career but kc also inspires you with her enthusiasm, candor and hilarious attitude. Even more shocking… kc is surrounded by some pretty incredible people at the SiWC… Kathy Chung, Camille Netherton, Crystal Stanaghan, Eileen Cook, Jared Hunt, Jennifer Browne and Jennifer Striemer. 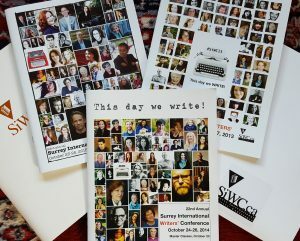 These people are the reason the Surrey International Writers’ Conference is famous for being so welcoming and generous. They make it happen. And the reason I’m telling you this story today? 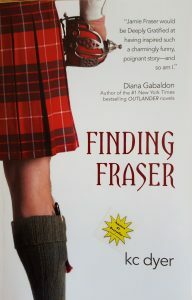 Yesterday kc announced that Finding Fraser will be published by Berkley (an imprint of Penguin Random House). This is HUGE news! 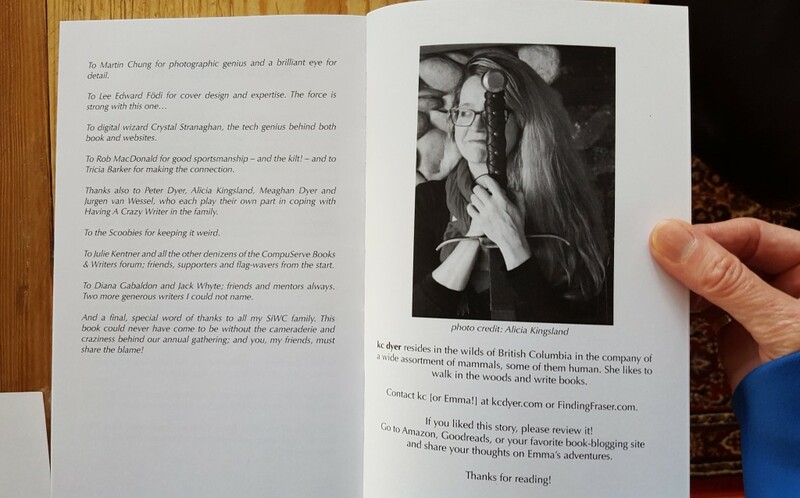 It’s rare for a self-published book to be picked up by a big publisher and kc and her agent, Laura Bradford made it happen. I was thrilled to hear the great news as the tweets started bouncing around. Then I clicked on the link to find out the details. kc has listed the names of the people that helped to make this happen. She included mine.